Some of the rocks are placed on the pavement. Ward 126 residents are tired of being in danger on the road. 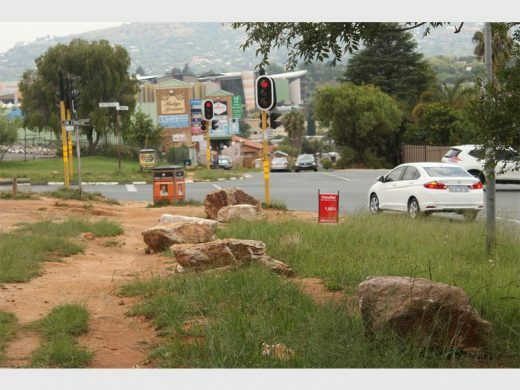 Residents of Ward 126 have resorted to extreme measures, stopping taxis and other vehicles from using the pavement as a way to skip traffic, Randburg Sun reports. 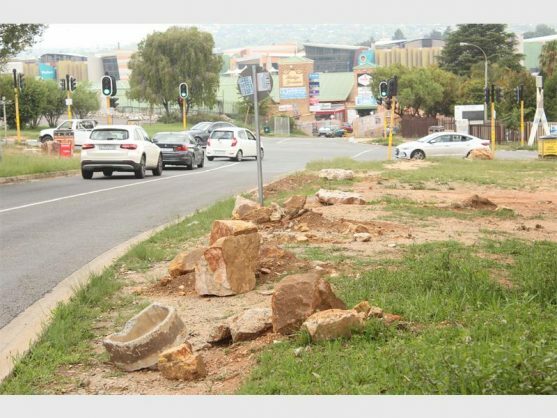 Along with the help of the Johannesburg Roads Agency and councillor David Brand, huge rocks have been placed on the pavement starting from the corner of Jim Fouche Road and Pranticole Avenue until Beyers Naude Drive. The rocks will prevent motorists from driving on the pavement. Brand said drivers trying to skip traffic by using the pavement are putting pedestrians’ lives at risk. “The problem starts when the vehicle has to come off the pavement and join traffic. It becomes chaotic and causes accidents that could have been avoided. “Even though there were poles placed in certain areas to prevent vehicles from using the pavement, the poles have been removed or vehicles have crashed into them,” said Brand. The rocks were delivered by the agency who planned to dispose of them as they were left over from another project. The rocks on the pavements of Ward 126 will prevent motorists from driving on the pavement. Spokesperson for the roads agency, Bertha Peters-Scheepers, confirmed the agency’s involvement in assisting the residents of Ward 126. 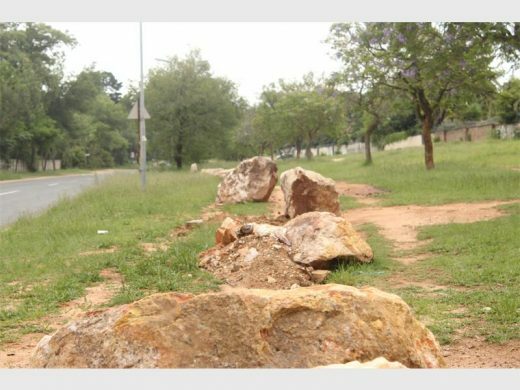 “As per an agreement between residents and the ward councillor to curb taxis driving on the pavement, the rocks were placed on the right-hand side pavement of Jim Fouche,” said Peters-Scheepers.